SPLITTABLE EQUESTRIAN ESTATE Horse Property on 7.5 ACRES (up to 5 LOTS) of PREMIUM LAND. This PRIVATE LOT is located on a NON-THROUGH STREET with LOW TRAFFIC in S Gilbert with North South exposure and NO HOA! 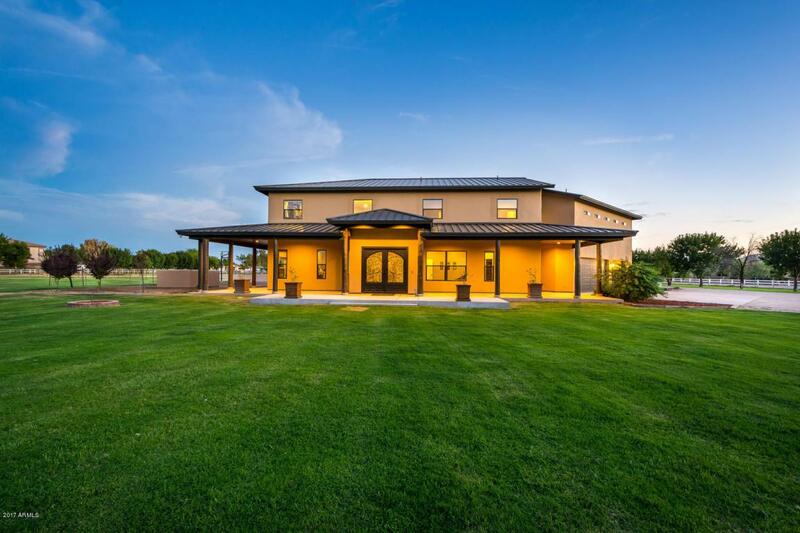 OVERSIZED GATED LOT features large 2 Story Home, Horse Barn with 5 Stalls, tack room, 2 riding arena's, 70 ft round horse pen, 5 fenced pastures and Private Oasis Backyard! The home features 6 bedrooms and 4 bathrooms, Dual Masters (one of first level and one on second level) first floor laundry plus Washer Dryer hook-ups in Master Suite! Relax in your Master Suite complete with tray ceiling, private deck and STUNNING mountain views from all sides. Storage is not a problem in the beautiful well-appointed kitchen that features 2 pantries and plenty of counter space. See Motion Video.